Corsican Places is pleased to launch its new look, re-branded 2014 holiday brochure this month. 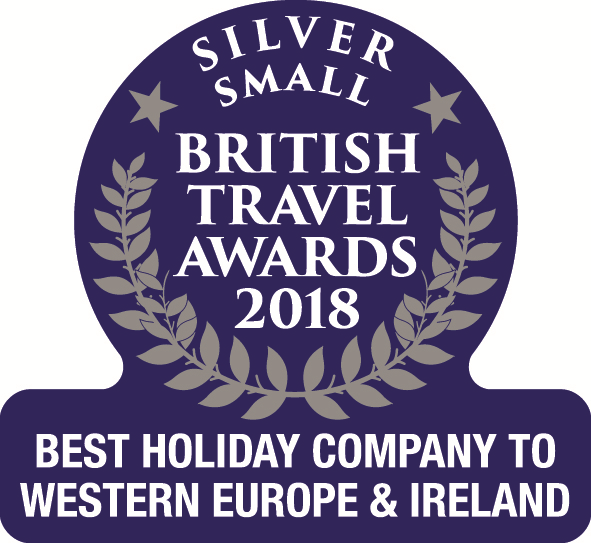 With 27 years’ experience, the leading tour operator continues to be the UK Corsica specialist, remaining the main flight provider with the widest choice of charter routes, as well offering the broadest range of villas, apartments and hotels across Corsica – currently 165 handpicked properties with 13 new additions. The new brochure incorporates Augmented Reality and QR codes for the first time which allows customers to instantly bring the brochure to life. By downloading the tour operator’s free *Serenity Holidays app from the App Store and Google Play, there is access to photographs, 3D floor plans and property and destination videos. U Ciocciuis a stylish contemporary villa set on the hillside with sweeping views across the maquis-carpeted mountains. Features include a private pool and summer kitchen, both of which afford views across the sea and the perched village of Sant’Antonino. Below the house is a former shepherds’ trail, whilst ten minutes’ drive away is Aregno Plage and the seaside village of Algajola. Casa Lilu is an attractive, authentically decorated, Mediterranean-style villa with extensive landscaped gardens and impressive pool area. Idyllically hidden away in the countryside, yet only a short drive away from Abbartello and Porto Pollo, the property is the ideal summer retreat and perfectly poised for those who wish to discover more of the beautiful Valinco region. Full of rustic charm, U Caseddu is a recently renovated former shepherd’s house with pool close to the pretty village of Figari. Set over three floors, the layout is somewhat quirky, yet ideal for couples or families with older children seeking an authentic Corsican experience. The region epitomises the Corsican slower pace of life and is a treat for food lovers with an abundance of quality local produce readily available in the area. Peacefully located high above the coastal village of Miomo, le Maquis du Cap is a new contemporary apartment hidden amongst the cork trees of Cap Corse. Offering magnificent views out to sea, and as far as the Italian island of Elba, this is a must stay for couples with Bastia, Erbalunga and Patrimonio all within easy reach. Following increased interest, the new Corsican Places brochure now features a double page spread on self-guided walking tours. One of the best ways to experience the island’s breath-taking coastal and mountain scenery is by foot and Corsican Places’ itineraries cater for different fitness levels. Three of the best-selling walking itineraries are detailed in the brochure: ‘Corsican Island Mystery’, ‘Sea & Mountains’ and ‘Mare a Mare South’ (coast to coast) with prices starting from £1073pp. Touring Holidays remain an integral feature of the Corsican Places’ programme with many customers keen to explore specific regions at their own pace. Sample tours are presented, with the added possibility of tailor-making trips according to the holidaymaker’s individual requirements. Twin-centres with Sardinia are also an option courtesy of sister company, Sardinian Places. Stansted – Calvi with Titan Airways: Celebrating 5th season of this operation next summer. Manchester – Calvi with Flybe. Heathrow – Figari with British Airways. Bristol – Bastia with bmi regional: Following inaugural success last year, this flight will now commence 25 May and continue until mid-September. A selection of Early Booking Offers is available on 2014 holidays, valid if booked by 30 November 2013. These include savings of £50pp on selected holidays, increased child discounts of up to 20%, and complimentary UK Airport Lounge access. These offers apply** when travelling on Corsican Places’ charter flights, see the above link for more information. * Corsican Places is a trade name of Serenity Holidays, a fully bonded operator under ATOL 1866 and a member of ABTOT 5216, ABTA, IATA and AITO. ** Complimentary Lounge access excludes Heathrow – Figari packages.